Police say the man has mental health issues and may have been off his medication. A mother has been killed inside her East Falls apartment and her son has confessed to the crime. NBC10's Denise Nakano has the details on his possible motive. A man is accused of murdering his mother with a hammer and living with her body in the East Falls apartment they shared for days. 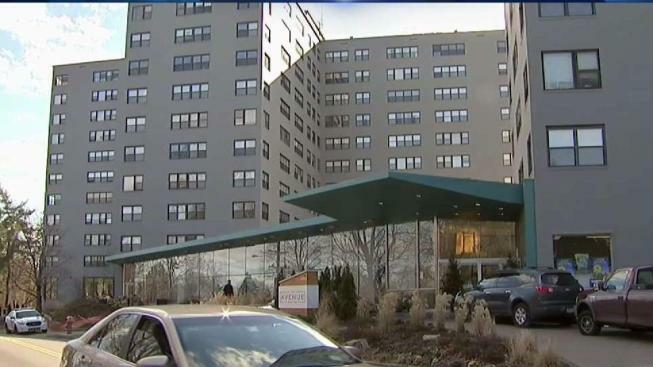 Police conducted a well-being check for 49-year-old Tammie Blunt inside a unit of the Avenue at East Falls Apartment Complex on the 5400 block of Wissahickon Avenue Wednesday shortly after noon. Blunt's family members had told police they hadn't seen or heard from her in a few days. When police arrived they found Blunt's body inside. Police say she died from stab wounds and blunt force trauma. The woman's son, identified by police as 27-year-old Malachi White, was taken into custody. White allegedly admitted to killing his mother. Sources told NBC10 White got into an argument with his mother Sunday and then killed her around 1 p.m. Monday. Sources also said White lived with his mother's body still inside the apartment until his arrest. Police say White has mental health issues and may have been off his medication. He does not have any prior arrests. He'll be charged with murder and other related offenses. Police recovered a hammer and a kitchen knife from the apartment. They continue to investigate.